Summary : the Enterprise 2.0 Conference that took place last week in Santa Clara leaves those who followed it from a distance with a strange impression. While we could expect, with the increasing maturity, a real breakthrough on value creation models, we end with a petty squabbling about enterprise 2.0 and social business. What brings, one more time, the focus on what enterprise 2.0 is, is not, its limits…at the risk of desperating enterprises that don’t see any change in the problem they’re facing meanwhile and would like to be told how to improve things instead of being offerd to join the dreams of the ones or the others. In the end, the debate is meaningful not because of its content…but because of what’s not in : value creation and ROI are still missing. â€¢ still a strong focus on communities (to such an extent I thought it was the Community Management Conference). I’ll share my views about this in a next post but, in my opinion, even if that’s a key element of the system, it’s not the only one and seems to be over-dealt with regarding to the rest. It’s impossible to claim addressing organization challenges on a global scale while focusing on dynamics that, by definintion, rely on employees willingness, out of work flows and which final impact on performance, even if potentially impressive, is still unpredictable. â€¢ a new “enterprise 2.0 vs social business” debate. Is the first dead and being replaced by the second ? Is an heretic group trying to grab the power at St McAfee’s church ? I was really surprised by the extent this second point reached, seeming to be the biggest point of concern. I first thought I had nothing to say about it but, finally, I realized that it was important not because of the arguments used…but because of what was not mentioned. By the way, a good occasion for those who still wonder what enterprise 2.0 is to make their own opinion. Before this one, McAfee issued a first version of the definition that was more questionable…and questioned. Both seem too tool-centric to me, even if the last one is open enough to allow people to put whatever they want in. In fact I have to admit I’ve never been a fan. But, recently, I changed my mind. During his researches, McAfee wanted to demonstrate if a certain kind of tools could (or couldn’t) help organizations to collaborate differently. The conclusions were positive so McAfee concluded accordingly about a “tech-enabled organization” were things are made possible by tools. Afterwards, many things were added in the “enterprise 2.0 bag” : RH, culture, human and management challenges, organizational issues…and McAfee was reproached not to take all this into account. In my opinion, this was simply not in the scope of his research. He demonstrated that tools could make things possible, period. Then, it was up to anyone to understand the why and find the how. At the end, the enterprise 2.0 ecosystem made McAfee’s concept support too many things, a weight that was too heavy for it. Enterprise 2.0 is the first step towards solving bigger issues, as it was confirmed by Lee Bryant during the last summit in Franckfurt : we’re only at the “Trojan phase” of something bigger, deeper. So I don’t think McAfee’s vision was too restrictive but us, the ecosystem, that put too much expectations on it, too early. Last year came the notion of “Social Business Design “, impulsed by Dachis group and that is defined as a “People / process / technology” triptych. A vision I’m very comfortable with. I’ve always considered both concepts as complementary, one being more about a statement, a proof of concept, and the other a methodology. And I would never have thought it could lead to what looks like a religion war. For many people, social business is more than a methodology : it’s also a good marketing trick to help the ecosystem to take a second break. Don’t forget that it’s about a very promising market for venddors and service providers and that creating a market by rebranding things that were already around is fair game. I subscribe to this point of view and dont find any reason to criticize the approach provided the marketing side is assumed. If you digg in this blog’s archives, you’ll see that I’ve written some things on social business a long time before the concept became popular. But it was bout that. Maybe that’s what upsets me in social business : I have nothing to say about the content but I find it’s a pity to reuse a name that’s been used for something else for years, most of all according the values carried by this “something else”. This said, we can discuss words and concepts for years without making any progress. As a matter of fact regardless to the name things are given, there’s something that does not change : what enterprises need. They’re looking for new levers to improve their performance in a world that changes, where value creation models have to be reinvented. Enterprise 2.0 is a set of tools and practices aiming at increasing the scope of the human and informational capital thatâ€™s accessible and usable in order to execute everydayâ€™s processes and workflows and deliver the expected work in the assigned time limit. Itâ€™s not build outside or in replacement for workflows and business processes but around them. A definition that’s only worth what it’s worth and does not compete for perfection…but clearly states where it heads to. We can talk about enterprise 2.0 or social business for hours but, at the end, what enterprises are waiting for is “how will I create value tomorrow”. Nothing more, nothing less. And I don’t think they find anything worthy in all these discussions, nor in many community management discussions as soon as we stop talking to the echochamber and deal with the early majority. I meet more and more people that are not satisfied nor convinced by what they listen and read on that matter. There’s a good reason to that : convinced people believe in the value of communities and only ant to be taught how to energize them while any other person (90% of the whole market ?) want to be taught how communities will help them to drive value. More : rather on being told how to build communities and convinced that it may eventually create value, they want to start with their value creation system and, then consider communities as an element of a global system. As long as they won’t understand to what extent it’s a part of people’s job and can improve their work flow, these discussions will be off the point…and the enterprise 2.0 world will keep rebranding things every year without understanding that that point is not about the name nor the technology but…the value. If you canâ€™t sell more, buy less, or fire somebody, youâ€™re not getting real ROI. Maybe it can be refined or nuanced but all what matters is here. The actual question is not how you name things, how to build vibrant communities, what shoe-horn to use to make employees use our wonderful tools but “how increase incomes or decrease costs”. An we have to admit that except CISCO, Procter&Gamble, another company I know but that don’t want to communicate, and in some ways IBM, no one can come with other numbers than communities and participants (Btw I’d be happy to get comments with numbers that will show me I’m wrong) and there’s a good reason : most businesses start with the community ideals and try to plug it on the value creation process instead of starting with the process and enrich it with new tool and ways of working. Refusing to rethink value creation models with all what comes with will still hav the same result : having the impression to make organizations and people happy despite of them and live our own dreams through them. To end, if I had to draw conclusions from the differences between what was said in Francfurt and Santa Clara I’d say one thing : european audience, being much more skeptic and less early adopter by nature, a discourse for this kind of audience had to be found what make discussions shift to value and processes. Overseas’ audience being much more early adopter, the question of talking to the early majority was not a concern yet. 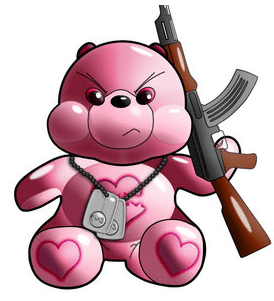 Rather than hunting for heretics, maybe we should beware more of Care Bears. Sep 14, 2010 Enterprise 2.0 and ROI : forget the “whether” and focus on the “how”. Previous articleDid web 2.0 kill communities ?